New to loom knitting or do you want to review a loom knitting technique? Learn the basics through step by step instruction and illustrations. The learning is divided into 3 sections, single knitting, double knitting and sock knitting. 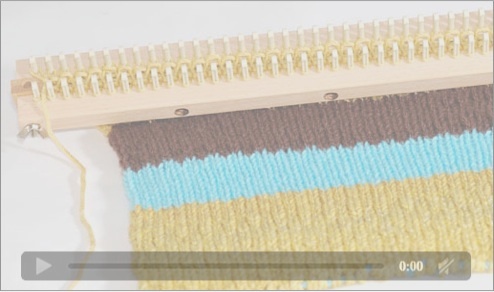 Create beautiful proffessional loom knits easily on the knitting loom. Check out our video section for informative loom knit how-tos on single, double and sock techniques. It’s a great way to learn and watch at your own pace! Sit back and relax and learn to loom knit. It's like having an instructor right by your side. Enjoy!